Carnival is upon us, complete with masks, parades, sweets, and pageants, so here’s a look at five celebrations around the world. There was a time when I couldn’t wait to dress up in a costume. This was when I was in elementary school during Carnival. The Milanese tradition of the Ambrosian Carnival includes a parade of floats on Saturday Grasso or Fat Saturday during which costumed Milanese children throw confetti. The Ambrosian Carnival starts four days later than the classic carnival…it is said that Sant’Ambrogio himself has postponed it. During that time, choosing a Carnival costume was a very serious affair: I was a pink rabbit, a strawberry, a blue fairy, a geisha and Esmeralda from the Hunchback of Notre Dame, with a costume sewn by her grandmother that rivaled the official Disney store version. “And then, what happened?” You say. It happened that all these – wonderful – costumes were systematically ruined and disfigured by layers of sweaters and coats I wore underneath to face the February cold. I always more so resembled the Michelin Man in disguise and this has certainly dampened my enthusiasm and influenced the fact that now, even at Halloween, I prefer to eat sweets instead of dress up in costume. Leaving aside my childhood traumas, the world gladly celebrates Carnival, which is perhaps the most amusing and irreverent party that the Catholic tradition has bestowed upon us. The Carnival was the party in which to indulge just one last time before Lent, and here’s a look at some around the world. 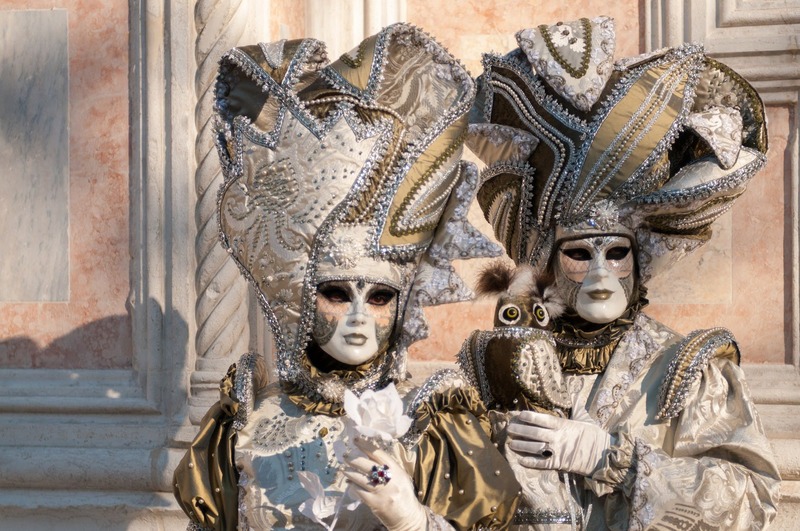 Italy has many important Carnival traditions, and one of the most famous and spectacular is undoubtedly the Venice Carnival. This year’s festivities take place from 16 February to 5 March during which the city of Doge’s Palace will be animated by costumes and events. The festivities will begin with an evocative water show in the Cannaregio canal. Among the other events, the Sfilata delle Colombine takes place the next day. This historic women’s gondola regatta departs from the Bridge of the Three Arches (Ponte dei Tre Archi) and finishes at the Ponte delle Guglie. The party continues with a competition for the most beautiful Carnival mask and the famous Flight of the Angel. Revelers can participate in treasure hunts that leave from St. Mark’s Square and Piazzale Roma respectively. 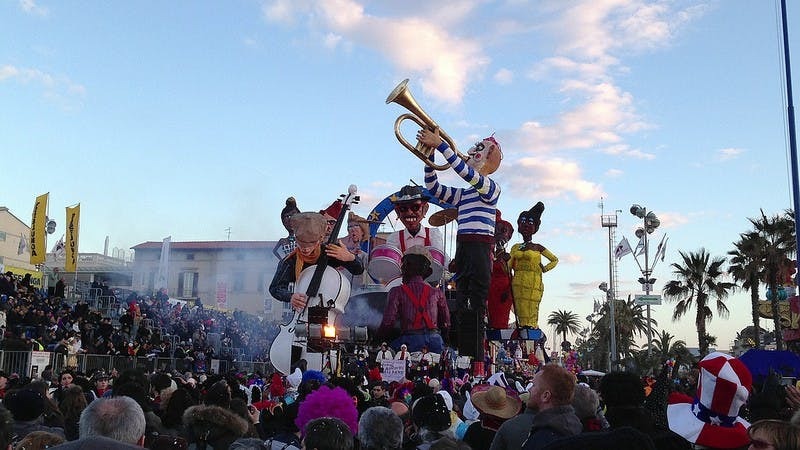 Since 1823, Viareggio has been the location of carnival’s most brazen celebrations, featuring wood-and-papier-mâché floats representing politicians and prominent figures. It started when the high-society boys of the Corso Mascherato decided to organize their own carnival parade. The 1930s brought the Burlamacco, the mask symbolizing the Carnival of Viareggio – similar to the Commedia dell’arte masks, but designed with a futuristic style based on the hues of the city’s beach umbrellas. Ivrea’s carnival is ancient and sensational, rooted in the Middle Ages and mixed with later traditions of the Risorgimento’s insurrections. Throughout the city, the historic revolt of Ivrea’s citizens against their tyrant is re-enacted with a cast of familiar characters, including the miller’s daughter who was the target of a ius primae noctis. You’ll see her modern representative in a golden chariot carrying a young married local girl dressed in white and throwing sweets and mimosas. But the highlight comes when citizens sporting Phrygian hats (a red one if you don’t want to be a target!) 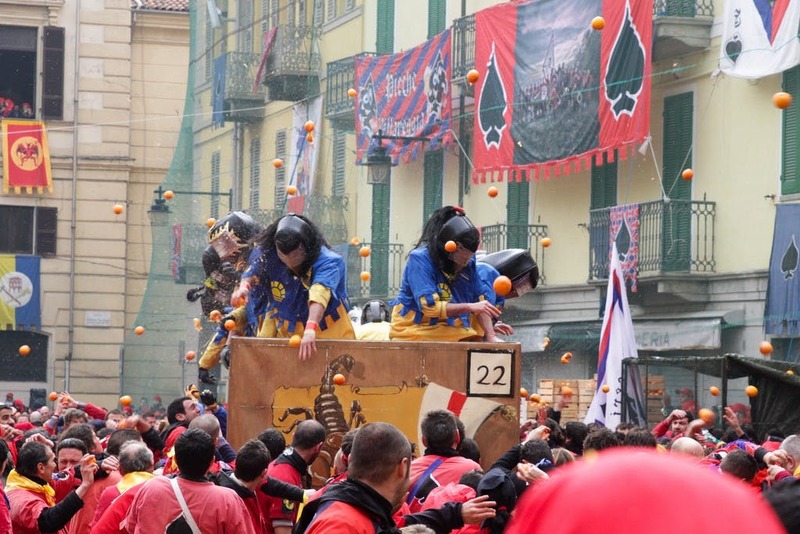 fight the tyrant’s army by throwing oranges in the city’s squares. After the orange battle, it’s good to refresh yourself with traditional carnival sweets and cakes. 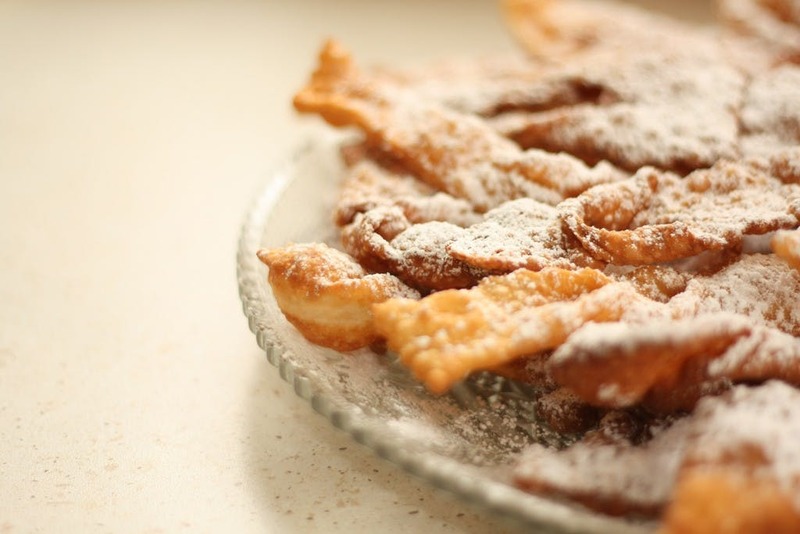 They’re particularly rich because they’re the last ones consumed before Lent and the most famous are the Mardi Gras fritters: strips of dough made with eggs, sugar, and flour, which are fried or cooked in the oven. The tortelli (or frittelle) have an irregular spherical shape and are filled with custard or chocolate cream. In the Venetian tradition, they have voids in the dough and are sugar coated with raisins. Each region has its own traditional cake. The Piemontese make the mantovane, tent-shaped puff pastries filled with jam and almonds. Abruzzo has the sanguinaccio dolce: an exquisite bitter cocoa cream made with ladyfingers. In Tuscany, people eat schiacciata, while in Le Marche, they enjoy arancini dolci, puff pastry flavored with orange juice, rolled into the shape of a spiral and covered with honey. There’s no denying that Rio de Janeiro is the world capital of carnival. What better way to prepare for 40 days of sobriety than five days of wild dancing and concerts? The festival kicks off with the coronation of King Momo (the Fat) and every district parades its characteristic colors, each highlighting the traditions of its own bloco. 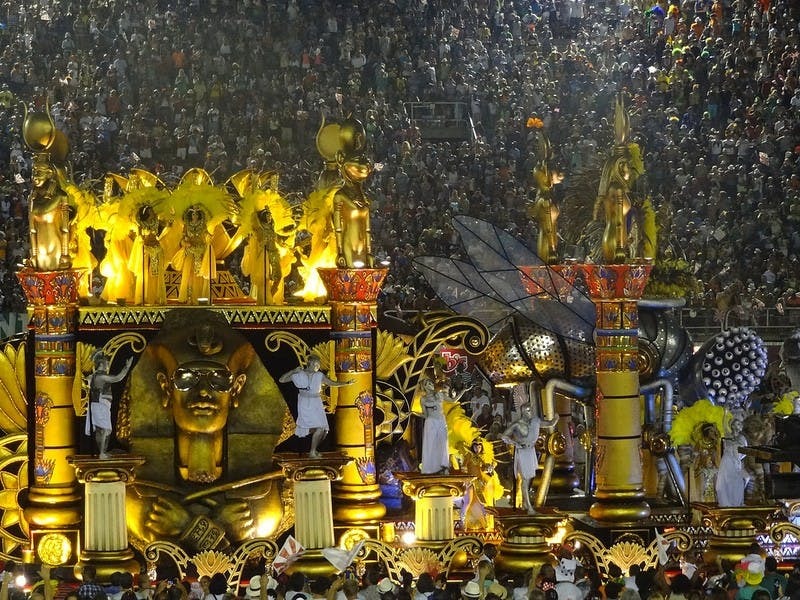 Finally, the samba schools compete for four days in the Sambadrome, and the dancers prepare all year for this event. Rio’s carnival costumes are characterized by bright colors…and a distinct lack of bulky coats! I’ll be honest – the episode of Murder, She Wrote set during the carnival in New Orleans is one of my all time favorites! The carnival in this enchanting city is characterized by parades of colorful floats that throw confetti and fake dollar coins engraved with the coats of arms of the krewes, the groups that organize the parade. 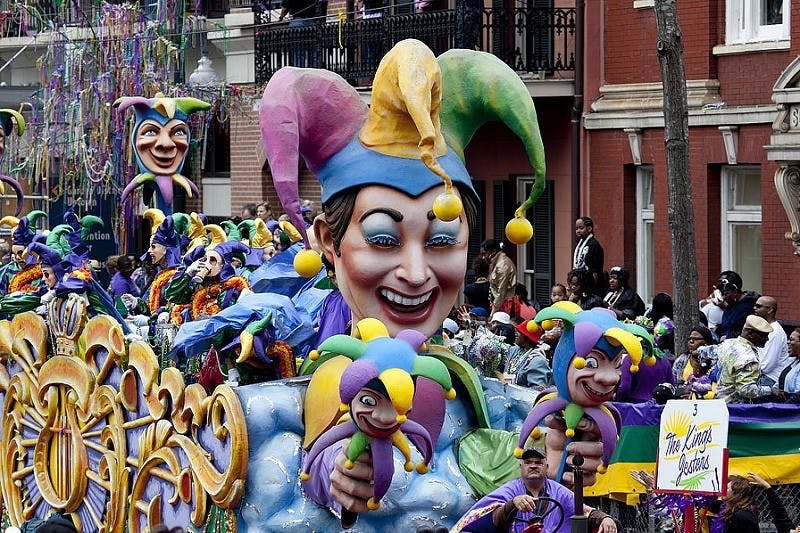 Mystick Krewe of Comus, the oldest krewe, organized the first parade in 1857, combining the British, French and Creole traditions that characterize the city. My feverish viewing of Louisiana-based True Blood leads me to conclude there must have been some hidden vampires among its members.